When you have a legal problem, you need strong, competent, and experienced representation. Clients come to the law firm of Gilbert McWherter Scott Bobbitt PLC because of our superior reputation and proven outcomes. By focusing on specialty areas within the law, the firm’s lawyers provide representation on cutting-edge legal issues, often resolving cases quickly—and for maximum recovery. With more than 75 years of combined experience, the attorneys at the Gilbert Firm are recognized as champions of justice for clients across Tennessee and the Southeast. We employ a team of attorneys with diverse knowledge and backgrounds, giving our well-rounded firm a competitive edge over our adversaries. Each and every lawyer at the Gilbert Firm is distinguished in his or her field. Our advocacy is recognized by our peers, our clients, by publications, and by courts throughout Tennessee. Our attorneys focus their practices in very specific areas of law: employment law, wage and hour violations, insurance disputes, and special education law. We have devoted our entire careers to representing clients like you in these types of cases. A dedicated lawyer from the Gilbert Firm can offer legal representation from our offices in Nashville, Chattanooga, Memphis and Jackson. Please contact us today at 888.996.9731 to learn more. We’re Here When It Doesn’t. At the Gilbert Firm, our Tennessee attorneys focus on employment law, wage and hour law, insurance disputes, and special education law. 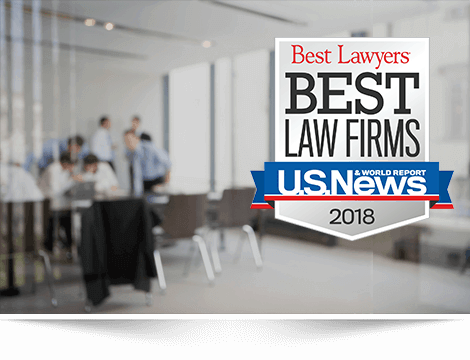 Our precise comprehension of the law and legal prowess has earned us awards and accolades, and impressive verdicts and settlements for our loyal clients. 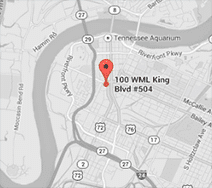 We have built an extensive professional network with our peers here in Tennessee and across the country. When it comes to providing exceptional service combined with meticulous adherence to details, the Firm is ready to help. Since 1998, the Gilbert Firm has been building a repertoire of stellar lawyers and unparalleled support staff. Besides obtaining multiple multi-million dollar settlements and verdicts for clients in a variety of areas of law — from insurance disputes to employment law — our attorneys have been recognized by a range of professional organizations. The Tennessee lawyers at the Gilbert Firm have been named as “Super Lawyers,” “Best Lawyers in America,” and achieved Preeminent AV Ratings by the one of the most honorable legal organizations in the country, Martindale-Hubbell. From offices in Nashville, Chattanooga, Memphis and Jackson, the lawyers at the Gilbert Firm have the resources and availability to help clients across Tennessee. We are licensed to practice in both federal and state courts, and have built a solid reputation as premier legal advocates for Tennessee clients. If you have been a victim of an employment law or wage and hour violation, a Tennessee labor law attorney is here to help. If you have suffered an insurance claim denial, contact an insurance dispute lawyer at our firm. For assistance with special education law, the Gilbert Firm employs legal counsel for education cases as well. We are your advocates. Call us today at 888.996.9731 or fill out our contact form to learn more about how we can help. Both Tennessee and federal laws protect your rights at work. Do not let an unethical employer get away with unlawful behavior at you and your family’s cost. More and more employers are taking advantage of dedicated workers to cut costs and cut corners. You do not have to take it anymore. If you are being denied overtime, told you are salaried, being forced to work off the clock, through your meal breaks, before or after your shifts or suspect other types of wage theft, contact one of our Tennessee wage and hour violations attorneys today. Giving employees the ability to work remotely without paying them. When a claim has been denied, delayed, or underpaid, the Gilbert Firm advocates on behalf of those who were wronged. We have extensive experience collaborating with public adjusters as well as representing individuals in federal and state courts throughout Tennessee. The Gilbert Firm proudly represents clients throughout Mississippi as well. 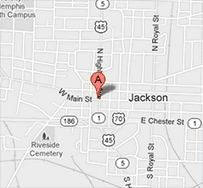 We invite you to contact one of our offices in Tupelo or Jackson to find out more about our services. “Education is perhaps the most important function of state and local governments.” Brown v. Board of Education, 347 U.S. 483 (1954). All children are entitled to a free, appropriate public education (FAPE) in the state of Tennessee. That can prove more challenging for children with learning differences or special needs, who may be taken advantage of, bullied, neglected, or even abused. Justin Gilbert leads the team of Tennessee special education law attorneys at the firm, ensuring that you always work with a lawyer who puts the best interest of your child first. If your child is being mistreated at school, or is being denied the services, support, and accommodations he or she needs, get a committed, compassionate lawyer from the Gilbert Firm on your side. 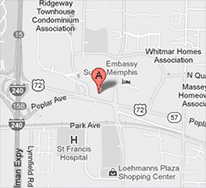 We take cases to due process hearings and, where appropriate, to state and federal courts across the state. We have also litigated on behalf of children denied private school payment, exclusion from regular education, and unnecessary segregation in special education programs because of disabling conditions such as autism, Down syndrome, diabetes and epilepsy. If you have a legal problem, let us know how we can help. Unfortunately, sometimes parents and, yes, even teachers who advocate for the rights of children experience retaliation. The Gilbert Firm is a recognized leader in retaliation and whistleblower cases for parents and teachers, ranging from false accusations made against parents, to terminations or discipline of teachers who advocate for their students’ needs.